For this post I’m handing over the reigns to #warmonger and Twitter favourite Paul Collett aka @Ozrax to review Imperial Armour 12. Enjoy. I have never bought an Imperial Armour (IA) book, always feeling that they were stupidly overpriced and as a tight fisted git, I would not spend that much on a book. So what changed my mind? Well, I am building a Necron army and I really fancied some Forgeworld kits in my force. The new Tesseract ark and the Nightshroud bomber looked great and the rumored Tomb Sentinel sounded very scary. To use these I needed the rules, so I caved in and bought the Fall of Orpheus. I hope to talk you through the book and to answer the question is it worth spending a tad under £50 for a glorified codex? 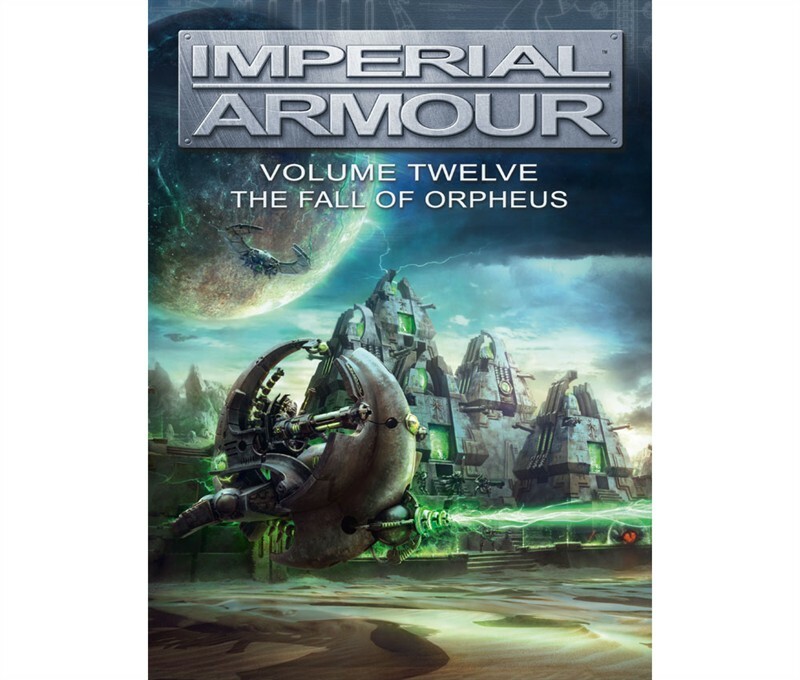 The fall of Orpheus is the 12th book in the Imperial Armour series and looks at the fall of an Imperial sector. 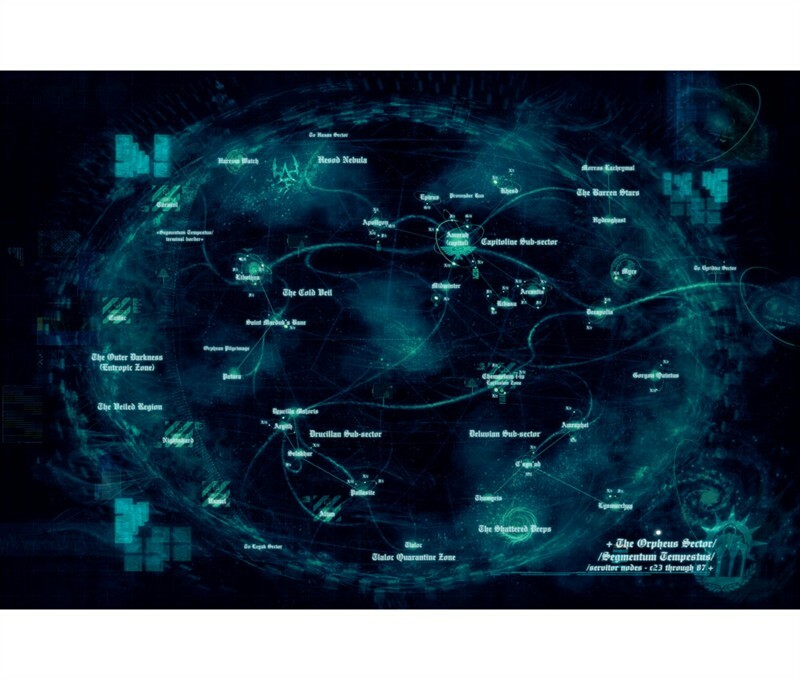 It is the ‘Necron’ book and its designed to allow you to expand Codex: Necron to include all the current Necron Forgeworld kits in your regular games. Rather than just any old Necrons, these are the Maynarkh Dynasty. Corrupted during the great sleep, these are a mad bunch (well, madder than most Necrons, who are all mad any way!) The Necron are pitched against the Minotaur’s Space marines and the Death Korps of Kreig (assault Brigade) with full rules for both imperial armies provided. So what do you get for the not inconsiderable amount of money? The book is in 3 parts. First off is the fluff as you would expect and Alan Bligh, the author, has done a great job. The book talks about the fall of a sector, war on a grand scale and devastation a full-scale invasion will bring. This is not the odd tomb waking up, this is millions of warriors, in thousands of Nightsycthes. It shows the invasion of a Necron Dynasty and the Imperial attempts to save the sector. This invasion is a brutal time and the defenders are stretched to breaking as the corrupted Necron try to kill the whole sector. The second part of the book gives you the scenarios to fight this invasion. Not only do you get the rules for the games, but you get the rules for all the planets in the sector as well. This is a great section and I love the individual planets special rules. It also suggests the type of scenery upon which games on each planet would be fought. Also included in this book are rules for both Apocalypse and Zone Mortlis games. Both are a superb and allow you play anything from small skirmishes up to huge battles, all themed to the Orpheus sector. One key feature of this book is that it has considered the new 6th edition throughout and the new rules reflect this. Following this are the 3 army lists. While not full codices, they are comprehensive lists. They detail the full back ground and history of the 3 forces along with the special rules, unique units and wargear of the armies. They provide full rules for using them in regular 40k games as you would expect, but also stand alone rules just for themselves. The Necron list gives you a choice to field either a regular Necron force with the new units or a Dark Harvest (DH) list. The core changes in the DH list are the loss of the C’tan in exchange for the Maynarkh Characters. This gives you some new Wargear and you gain the Mark of the Flayer rules. These rules make your leaders less stable and present the opportunity for them to go into a berserk rage or become a Flayed one. As this is a 6th ed book, you get a warlord traits list too! This is such a positive idea and adds a lot the personality of the army. Alongside the new units are 2 new characters and new options for old units. You can now upgrade your Immortals and Lychguard to Maynarkh Dynasty. The book features all of the Forgeworld necron stuff, including the Tomb stalkers all brought up to 6th ed Standards. Also in the book is the mighty Necorn Tomb Citadel. This fortification option is a mighty addition to the Necron force. The new Realm of Battle tile is a great model and once I get my hands on one (it’s on Back order!) I’ll post some pics! Despite the whole raft of new units and stunning new models, for me the main event in the Necron list are the sentry Pylons. The standard Gauss exterminator is staggeringly useful. At 135 points it adds some major anti-aircraft fire power. With a range of 120” and S9 AP2, and has skyfire and interceptor, you can’t hide from this fearsome gun! You can have up to 3 in unit. They are a Heavy weapon choice, Oh, and you can Deep strike if you up grade them! You can upgrade it to either a Heat cannon or the Focussed Deathray. These are both up gunned versions of the regular codex versions of these weapons. (Yes, I did say an ‘up gunned’ Deathray!) once these start appearing on the battle field, then the Necrons will rule the air. These 2 lists are not completely new, but they are brought up to 6th Ed. Both get a Warlord trait list and the histories of both are provided. The lists are very good and allow you to use the whole range of Forgeworld kits. The Death Korp list is a new variant. It allows you to field an Assault force. This force is the ‘do or die’ squad. They are sent to the toughest part of the fight and are not expected to return. While I don’t think there is a huge amount on new stuff in either list, they are well presented and if you don’t have either of the other IA books that feature them then they are excellent. I loved the Krieg back ground as I had not read it before. The lists are both solid and I so want a small force of each now! The Krieg list in particular allows you to field all the current Forgeworld infantry for the Death Korp range. The deathriders, mole mortar and the Hades breaching drill all get the 6th ed makeover as do the 4 big artillery options. Also included are the rules for the various Imperial Navy fighters. I liked these 2 sections, but they felt a little like an add-on to the Necron Stuff. Is it worth the £48? Well, I think it is. The art work on the whole is great, if a little reparative sometimes. The Photos are just out of this world, as the digital work on them takes them to level of realism that shocked me. The Death Korp photos in the tunnels are great. The rules, scenarios and back ground are well done. I only noticed one rules mistake (on the Hydra entry-they missed the Sky fire rule) but that’s only a minor thing. The whole concept of the book works well and the production value is high. The bigger IA format has allowed them to create a very nice book that I will use a lot. I would rate this book very highly. Alan Bligh should be proud of what he has written and my only issue is why did I wait so long to get an IA book? I am off to build me some new lists and assemble my Tessarct Ark. Till then, See you across the battle table. Thanks for posting this! I follow it with a blog on new kits soon.